“Let’s have a party. Let’s have it tonight!” said Lilly Pulitzer, a gal reputed to have graced a gala or two in her day. Better yet, let’s have many parties. And have them on many nights. Parties that raise the bar for parties, and while they’re at it, raise money for the arts. Serious money, not cocktail peanuts. To the tune of $150,000 in the last three years. Your demand for our dos has inspired us to outdo ourselves. We’ve challenged the most creative party goers and throwers we know to dream up Arty Parties they’d want to be invited to. Which they did: from period-perfect Regency Supper to political salon, from ballet en plein air to drag by the pool, from cocktails in the sky to brunch with Silas House and much, much more. The good news is there’s likely to be at least one Arty Party that pops your particular cork. The not so good news is that guest lists are limited. CLICK HERE TO VIEW PARTIES AND PURCHASE TICKETS. 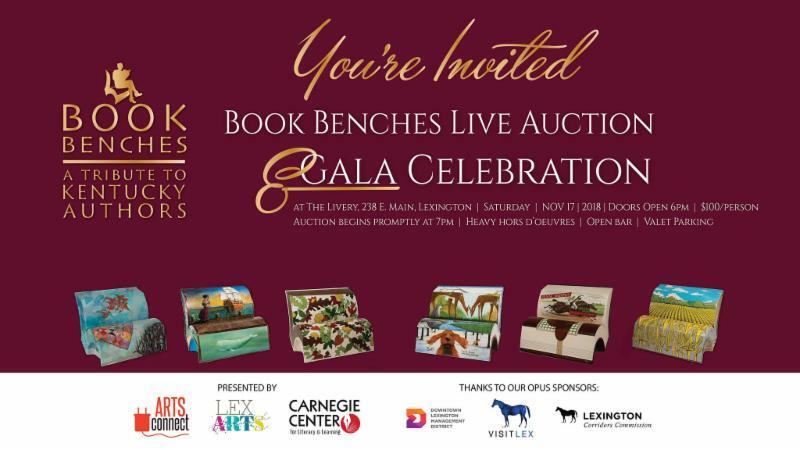 Join Arts Connect, LexArts, and the Carnegie Center for Literacy & Learning for the Live Auction and Gala Celebration. These beautiful benches have adorned Lexington's streets throughout the summer and fall and now they'll go home with the highest bidders! Proceeds from the auction will go to further the missions of Arts Connect, LexArts, and the Carnegie Center for Literacy and Learning. The University of Kentucky Opera Theatre presents the international sensation honoring the centennial of World War I’s conclusion. 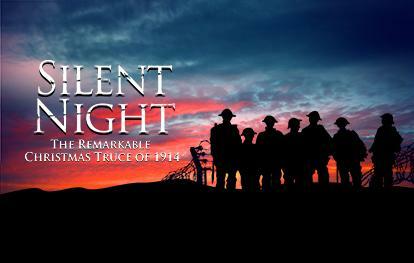 Silent Night recounts a miraculous moment of peace during one of the bloodiest wars in human history. The year is 1914 and the Great War has just been declared, dividing nations and sending millions into battle. As Christmas Eve falls on a battle field near Belgium, soldiers in French, German, and Scottish trenches begin recalling songs of home, stepping into no-man’s-land for a spontaneous truce. The Pulitzer-Prize winning music underscores the yearning, despair, and hope of the soldiers living in the trenches. Once sworn enemies, they trade their weapons for merriment and camaraderie—resulting in one miraculous night of peace. UK Opera Theatre’s production is directed by Richard Gammon. Performances will be November 9, 10, and 11, 2018, celebrating Veteran’s Day and the 100th Anniversary of the truce ending World War I, making the event especially poignant. 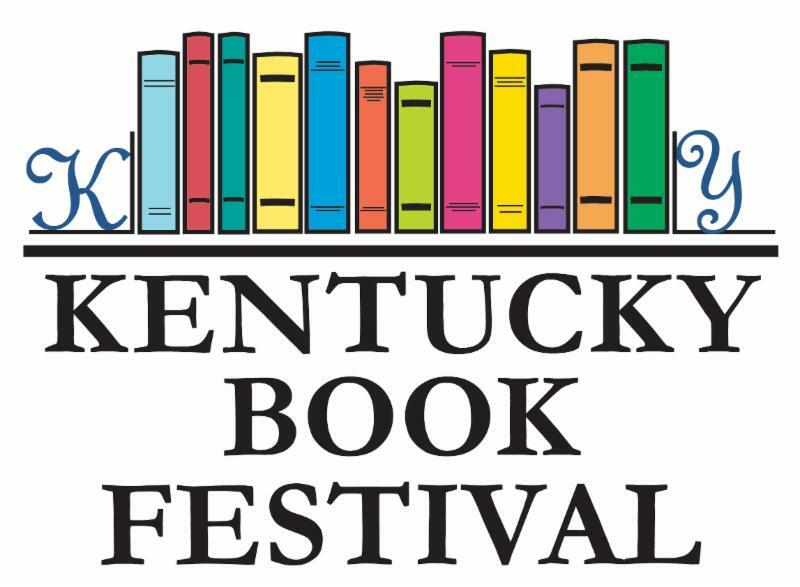 The Kentucky Book Fair has expanded into the Kentucky Book Festival - six days of literary events in Lexington! All week, attend readings, cocktail parties, trivia, and more, all culminating with the 37th annual Kentucky Book Fair on Saturday, November 17 at the Kentucky Horse Park's Alltech Arena. Click here for more information about guests, speakers, and Kentucky Book Festival events! Heralded as “one of the most successful woman composers of all time,” Joan Tower's orchestral work Made in America opens, followed by Mozart's Symphony No. 31, “Paris” and Ravel’s jazz-inspired Piano Concerto in G Major, performed by guest pianist Tengku Irfan. Copland’s Rodeo: Four Dance Episodes, his instantly recognizable, rollicking piece of Americana closes the night. Lexington's School for the Creative and Performing Arts (SCAPA) at Bluegrass is pleased to bring you a fantastic musical adventure with an out-of-this-world car that flies through the air and sails the seas. Based on the record-breaking West End production and the beloved film, and featuring an unforgettable score by the Sherman Brothers (Mary Poppins), Chitty Chitty Bang Bang, Jr. is one blockbuster that audiences will find "truly scrumptious." The Living Arts & Science Center has LIMITED RUN of a popular planetarium show and is offering it this week for just $4 admission. This show may not be shown at the LASC again, so take this opportunity to discover something new about your world in the LASC Planetarium. Cosmic Colors will take you on a wondrous journey across the entire electromagnetic spectrum. Discover the many reasons for color—like why the sky is blue and why Mars is red. Take a tour within a plant leaf and journey inside the human eye. Investigate x-rays by voyaging to a monstrous black hole and then back at your doctor’s office. You will even see the actual color of a dinosaur–based on recent evidence. Get ready for an amazing adventure under a rainbow of cosmic light! Quantities are limited. Unsold tickets will be available 1st come, 1st serve at the door. Repressed impulses burst their corsets in this clever spoof of Robert Louis Stevenson’s Strange Case of Dr. Jekyll and Mr. Hyde. Dr. Jekyll attempts to hide his work from family and friends, but when his experimentation spills from inside his respectable Victorian home and into the surrounding neighborhoods, suspicions are aroused and his secret is threatened with exposure. You’ll be both surprised and amused by this deliciously quirky farce. Life is full of adventure, if only you look for it. Peter and his red snow suit are ready to explore the snowy wonderland outside in a world full of snowballs, covered hills, and crunch, crunch, crunch. As Peter gets older, he learns new skills like how to whistle, deal with bullies, and mail a letter. This celebration of the seasons of life features musical numbers, shadow puppetry, and heart-warming characters from the award winning children’s books by Ezra Jack Keats. Adventure with Peter as he grows up and explores the wide and wonderful world around him. UKShakes, a student-run theatre company, is proud to present William Shakespeare's classic comedy A Midsummer Night's Dream. A fairy court, a royal wedding, a group of lovers, and motley crew of craftsmen collide in the Athenian woods. The play that follows is one of love, comedy, deceit, and magic. Join UKShakes for an evening of romance, magic, and fun! These unflinching poems of documentary witness take us into the lives of the prisoners of political oppression in Argentina and Chile, describing the means by which both bodies and souls are sustained in the face of brutality. Jeremy Paden is a professor of Spanish at Transylvania University and on the faculty of Spalding University's MFA program. 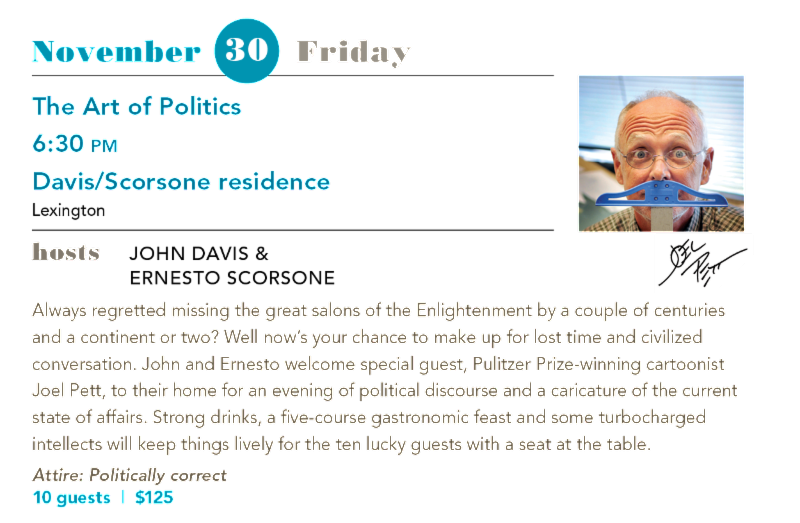 A member of the Affrilachian Poets, he lives in Lexington, and is the author of four chapbooks of poetry and translation. Jeremy is also co-editor of Black Bone with Bianca Spriggs. Over the course of three years, Maureen Morehead daily walked a trail built in 2008 on land in the heart of Anchorage, Kentucky. The resulting poems note imagery discovered through close observation intertwined with memory, imagination, introspection, and contemplation and emphasize Morehead’s recurring themes of marriage, friendship, illness, place, spirituality, and human behavior. The Red Gate is her fourth collection of poems with Larkspur Press and is accompanied by woodcuts by Joann Price. Maureen Morehead is a retired educator and has worked as an adjunct professor of poetry in Spalding University’s MFA in Creative Writing Program. Join Institute 193, the Lexington Film League, and 21C Hotels Lexington for a free screening of Journey to the Sun and Lady Hercules, two films by native Kentuckian Stephen Varble. More information on Journey to the Sun is below. Varble’s last five years were consumed with working on an epic, operatic work of video art: Journey to the Sun. It started in 1978 as a performance about the mythology of Greta Garbo, and Varble invited friends to his Riverside Drive apartment to view his monologues accompanied by projected slides. His ambitions soon outgrew this format, and he turned to video for its ability to combine text, image, and performance. He considered these videos to be revivals of illuminated Medieval manuscripts with their rich visual play between words and pictures, and he called his group of collaborators in the video the “Happy Arts School of Manuscript Illumination.” The aim of the “school” was to promote Varble’s vision of societal transformation through the making of modern fables in the form of videos, books, and prints. Journey to the Sun tells the story of a musician, the Grey Crowned Warbler, who undergoes tribulation and metamorphosis on a journey to transcendence. The tale is a loosely autobiographical fable of an artist who encounters a stern mystical teacher, Sage Purple Pythagoras (played by his partner, Daniel Cahill) who tests the Warbler. Many of Varble’s iconic costumes feature in the video, and he combined elements of his own history with references to literature, religion, and popular culture (notably, Garbo). Combining heavily scripted monologues with improvised performances, Journey to the Sun does not offer a tidy or easily understood narrative. Rather, it sketches a fantastic and surreal visual world in which dreams are realized through the transformations of everyday objects, popular imagery, and rubbish. Support for the preparation of the video has been provided by the Graham Foundation for Advanced Studies in the Fine Arts. DRIFTWOOD GYPSY offers a sonic adventure rooted in the soul of jam-funk fusion. Infectious grooves and charged up melodies reinforced by a contagious live performance. Watch a clip. CHRIS STILLS is the son of American rock musician Stephen Stills and French singer-songwriter Veronique Sanson and was raised between Paris and Los Angeles. His multicultural influences are infused in his work as a singer-songwriter and actor. Since his debut album on Atlantic Records, Chris has toured the world performing and recording with a variety of brilliant artists including, Don Was, Leanne Rimes, Ryan Adams, Government Mule, Smashing Pumpkins, Lucinda Williams, Ricky Lee Jones, and others. His songs have been featured in numerous movies and television including the hit Showtime series, ‘Shameless’ and films like ‘American Hustle’ and most recently ‘I, Tonya’. His latest album ‘Don’t Be Afraid’ is an evocative collection of eleven heartfelt songs. Watch a clip. ABBIE GARDNER is a fiery dobro player with an infectious smile. Whether performing solo or with the Americana darlings Red Molly, her acclaimed tales of love and loss, both gritty and sweet, are propelled by her impeccable slide guitar playing. 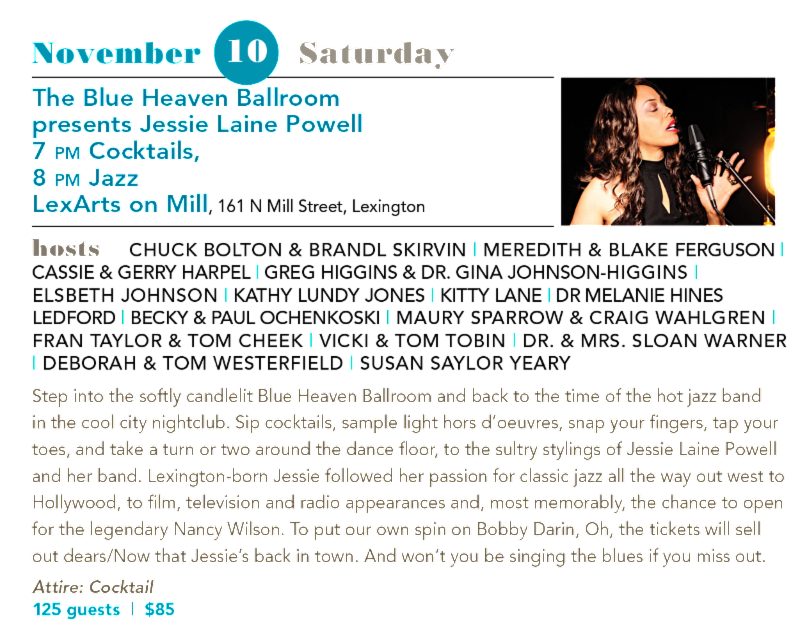 Solo performances feature truly unique use of the dobro as a solo instrument, bouncing between a solid rhythmic backbone and ripping lead lines, all in support of her voice and award-winning songs. ‘Wishes on a Neon Sign’ is her first solo effort since 2011 and features 12 original songs and a co-write with Chris Stapleton. Watch a clip. The Eighth Annual PRHBTN Gallery features art from local and regional artists displayed in the historic Loudoun House and is hosted by the Lexington Art League. The exhibition will feature more than 200 works in a wide variety of media by more than 100 artists. This exciting exhibition will be hung salon style and fill the galleries in the historic Loudoun House. Many of the exhibited works will be offered for sale. This is the third year that the league has partnered with PRHBTN to make this exhibition possible. This exhibition features work by Tiffany Calvert, Angela Dufresne, Justin Favela, Stephen Rolfe Powell and HuiMeng Wang. Pretty has many connotations: aesthetically pleasing, sensorially charming, and relatively beautiful. Yet the nature of that beauty also often renders things that are “pretty”as decorative and vapid. This exhibition seeks to complicate the notion of “pretty” with work that engages the aesthetics of prettiness, yet undercuts the dismissive connotations. Curated by Transylvania assistant professor of art history Emily Goodman. Initiated by Lower School art teacher Georgia Henkel and held at the Living Arts and Science Center, Through the Eyes of Children is an art exchange with students at Riera Studio in Havana, Cuba and Sayre's Lower School. Riera Studio is Cuba’s primary resource for artists with disabilities. Sayre students participated in the first art exchange in 2015 with children at the Casa de Cultura in Baracoa, Cuba. This exchange is just one of many ways Sayre School collaborates creatively with other students nationally and internationally. The exhibit will also be held in February and March in Havana, Cuba. Join New Editions Gallery in showcasing new works by Lexington's own Master Craftsman, Lynn Sweet. Beloved as a teacher, innovator and designer, Lynn has produced a new series of frescos that further explores the beautiful countryside in Kentucky's back roads. A range of media and supports are on display in these creations at the intersection of art and music. Each artist allows music to influence the form, textures and color in their paintings but their diverse affinities for music make an intriguing mix. Founded in 1961, the Kentucky Guild of Artists and Craftsmen (KGAC) is one of the oldest organizations working to preserve and promote the rich heritage of arts and crafts in Kentucky. Beginning with the “Guild Train,” which ran from 1961 through 1967, the Kentucky Guild of Artists and Craftsmen introduced thousands across Kentucky to the world of fine art and crafts. Located in Berea, KGAC is statewide organization seeking to bring together the diverse arts and crafts throughout Kentucky with a focus on educating artisans, youth, and the general public about the value of high quality art and crafts. 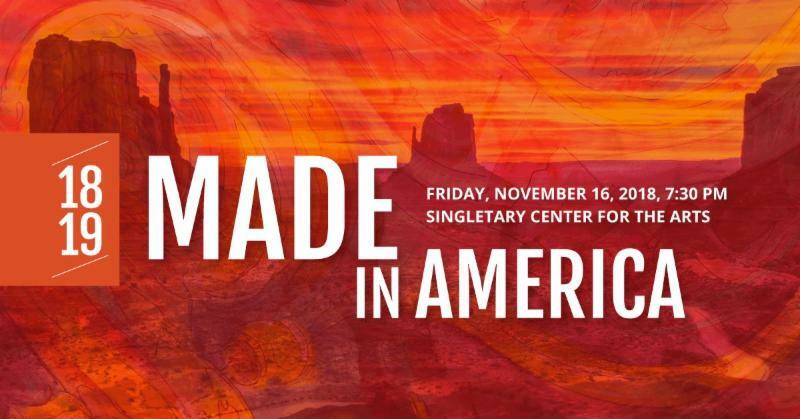 The Living Arts and Science Center in partnership with the KGAC will feature an exhibition of selected members from the guild’s juried artists and craftsmen. Works in a variety of mediums including drawing, painting, printmaking, ceramics, glass, fiber, metal, photography, and wood will be on display in the LASC’s Kinkead and Atrium Galleries September 14th through November 24th. Special workshops will be organized with participating KGAC members and presented at the LASC during the run of the exhibition. Please join the Headley-Whitney Museum of Art for this retrospective exhibition celebrating the life and work of equine artist Peter Williams. View over 100 paintings from the artist's personal collection, as well as many important works from private collectors. On Thursday, October 4, join the Headley-Whitney for an evening tribute to Peter's life and career. Complimentary wine and hors d'oeuvres will be served. If interested in making a donation to the museum in remembrance of Peter Williams, donations can be made through the Headley-Whitney's website, by mail, or in person. Thank you in advance for any contributions. Stephen Varble became notorious in 1970s New York for his disruptive performances in costumes made from trash and found objects. Born in Owensboro in 1946 and educated at the University of Kentucky, Varble moved to New York in 1969 and established himself as an outsider who mocked elitism, class, and gender. In the later 1970s, he shifted from performance art to drawing and video in an attempt to make art that could be distributed freely and easily. The Xerox machine became an artistic tool, and he started making drawings to be reproduced as xerographic prints. At the same time, he worked on a video epic, titled Journey to the Sun, that he hoped to distribute as “video books.” Institute 193 is proud to present the first exhibition that explores Varble’s interest in reproducible media. Including a selection of prints and excerpted footage of the video Journey to the Sun, the exhibition offers a view of Varble’s energetic final years before his death of AIDS-related complications in the first days of 1984. Poetic, personal, and often perverse, Varble’s prints and video conjure a fantasy world of metamorphosis and the openness of gender. They offer fables of spiritual journeys, rituals of purification, and the transformational possibility of the everyday. Funding for this exhibition has been received in part from the generous support of the Graham Foundation for the Advanced Studies in Fine Arts, and The Andy Warhol Foundation for the Visual Arts. This exhibition was curated by David Getsy. Rituals—religious and cultural, institutional and domestic—provide the thematic infrastructure for OFF-SPRING: New Generations. These sculptures, paintings, photographs, and videos employ iconographic imagery to explore the development of both personal and group identity, childhood, family, history, and gender politics. At the wedding altar, in the family home, or in the classroom, within the fantasy of childhood play or the familiarity of grown-up habit, these narratives generate a spectrum of meditations on the contemporary construction of self and society. Stacey Steers is known for her process-driven, labor-intensive films composed of thousands of handmade works on paper. Her recent work employs images appropriated from early cinematic sources, from which she constructs original, lyrical narratives. These films investigate the nature of longing, and how desire provokes and mediates experience to create meaning.